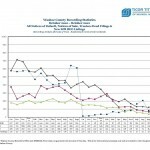 When Is The Wave Of Foreclosures Coming? Shadow inventory continues to loom over the Reno/Sparks real estate market as AB 284 wears thin with banks. Banks are starting to figure out how to to get through the “personal knowledge” part of the bill and defaults are starting to rise. 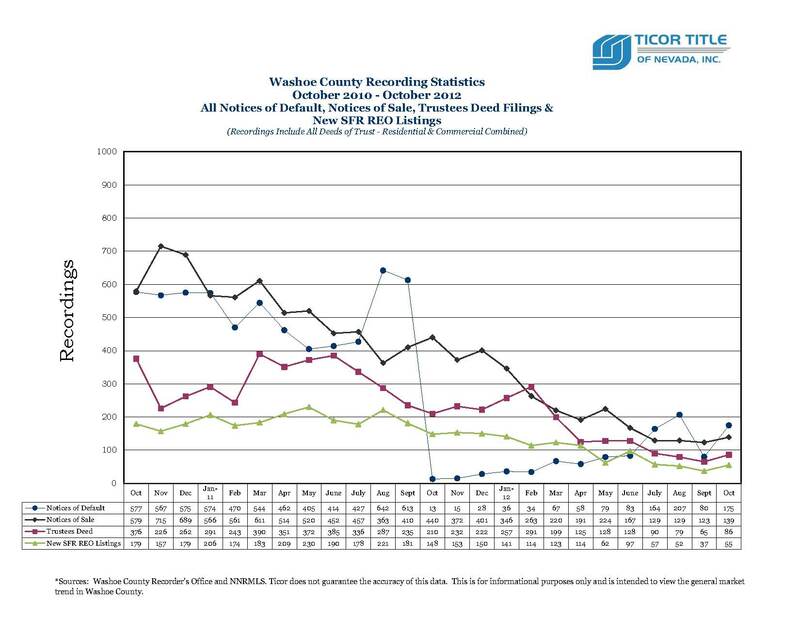 Ticor Title foreclosure statistics (picture below) show that the notice of defaults, notice of sales, trustee deeds, and REO/Bank Owned listings have risen for the first time in months. While I believe the worst has passed there are more REO/Bank Owned properties to come. Some of this shadow inventory will be eaten up by short sales and loan modifications but it won’t be enough to clear the backlog. Most banks won’t foreclosure during the holidays and now that the election is over expect to see these properties being leaked out in Spring and early Summer. With so much inventory being held by banks, much with Fannie and Freddie, they can essentially control the market. I doubt they’ll dump them like 2009-2011 since they’ve seen what kind of effect it can have on the market and hurts their bottom line sale prices. A slow leak of homes may curtail some of the appreciation we’re seeing (1-2% per month) but I doubt we will see any major depreciation. With so many investors out there and a lot cash being thrown at these homes the demand will still be there and multiple offer situations will continue. No wave and no crashing market. Just a quiet exit strategy. The unfortunate thing is when you rely on the media for market conditions you’re already behind the game. For more information on buying and selling in Reno/Sparks contact Broker Ricky Beach at (775) 750-1437 or Ricky@Resnv.com. 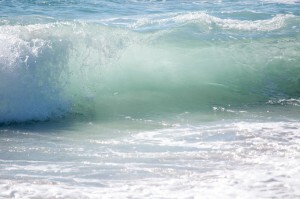 Posted in Market Update, News and tagged reno foreclosure wave, reno listing agents, reno mls listing stats, reno real estate blog, reno real estate market stats, reno reo fannie mae homes.